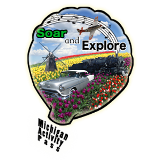 There will be a meeting on: Saturday, March 21st @9AM @ the American Legion Hall 28614 Division Street Flat Rock, MI 48134 regarding the searc for Flat Rock resident, Todd Martinez. 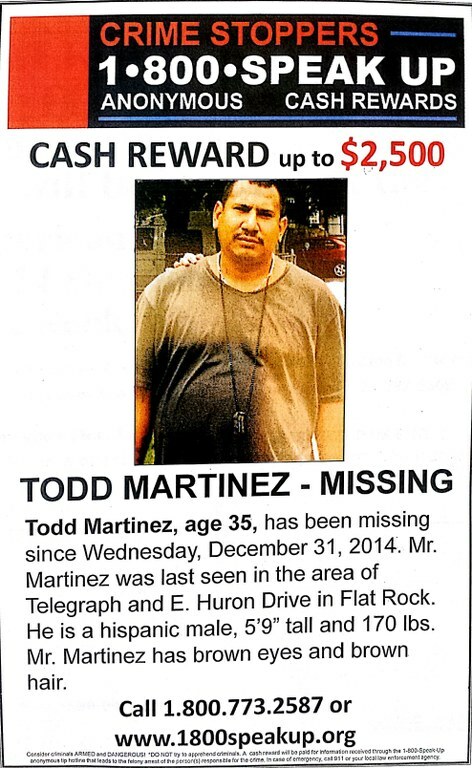 An questions (or donation or the search) can be directed to Gloria Sturgill (734-925-4229) or Pat Sell (734-782-5368) Any information on Todd Martinez' disappearance? Call Crime Stoppers at 1-800-773-2587 or the Flat Rock Police at 734-782-2496 Reward is $2500.